With about 100 coffee shops, restaurants and bakeries, Seattle’s International District can be sensory overload for the hungry traveler. The neighborhood is stocked with cuisine from Korea, China, Japan, Vietnam, Thailand and more. 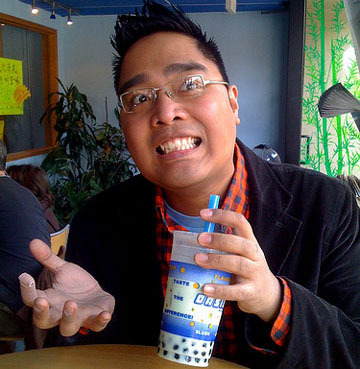 Did You Say Bubble Tea? Ah, bubble tea. At the Oasis Tea Zone, you can chose from a wide range of flavors for this popular Asian drink including coffee to Thai tea to lychee. Order it as a slushy or get it more on the milky side, but don’t forget to ask for the squishy tapioca pearls. There’s a lot on the menu at Green Leaf, but pho is the way to go. 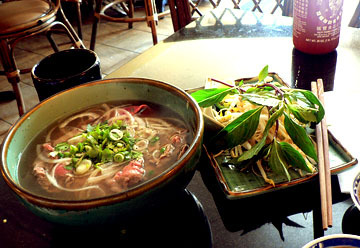 On dreary winter days, there’s nothing like slurping down this hot Vietnamese noodle soup. The broth comes in a huge bowl with noodles and your choice of meat. Also choose from cold and crunchy cilantro and bean sprouts, and flavor enhancers like basil and lime. Start off with some fresh spring rolls and you’ll soon forget the rain has long since turned you into a prune. It’s not great food, but for under $5 you’ll get a pot of tea, a cup of soup, and some deep-fried, sugar-coated, Chinese-American food over white rice at Ga Ga Loc. The menu is small but includes standards like sweet and sour chicken. 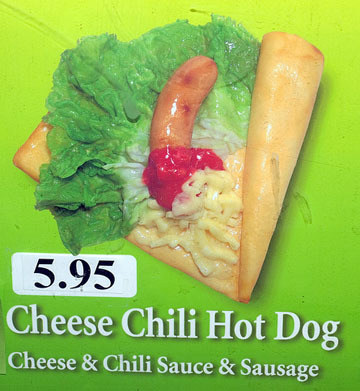 Good enough for lunch, the service is always great, and you’ll leave full. You have to plan ahead for dinner at Maneki, but it’s worth the finagling. It’s been around since 1904 which means it survived Japanese internment. These folks know what they’re doing. How many restaurants can say one of their dishwashers later became the 66th prime minister of Japan? 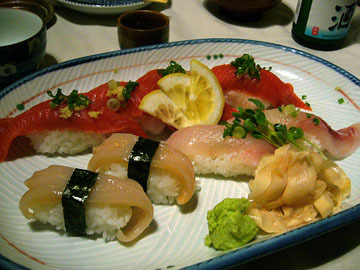 Inexpensive sushi and sashimi and an array of traditional Japanese dishes make for a memorable dinner. What the Tamarind Tree lacks in tastiness for dinner, it makes up for with its dessert. The restaurant is tucked away in non-descript strip mall, but inside it’s delightfully inviting. The enclosed patio with its toasty heaters make dining al fresco cozy, even in winter. Order anything from the grilled banana cake to the three bean slush, or pick from their array of homemade ice cream—it’s all great. Just stay away from the durian ice cream—unless you demand that your dessert taste like lighter fluid. 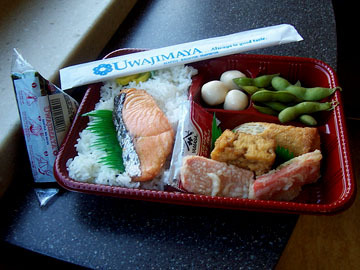 Uwajimaya, the district’s Asian supermarket, is an overwhelming whirlwind for the Asian food lover. There’s a whole aisle of noodles, and another of tea. Even if you’re not grocery shopping, you can eat here. The food court has a handful of reasonably priced restaurants serving pho, Thai, Korean and more in a hurry. I recently downed a plate of Rama noodles over baby bok choy smothered in a rich, creamy peanut sauce that had me scraping the sides of the disposable carton it came in. One of the magical things about the ID is Unicorn Crepes. If the window display of plastic crepes here seems scary, try one anyway. The ingredients are sometimes bizarre (the chili cheese hot dog crepe, to name one) but the thin, airy pancakes are dreamy. At the Panama Hotel, history is steeped into your tea. The hotel’s coffee and tea house is charming with its creaky wood floors and old photos of the district, but it has a story, too. It’s the only intact Japanese Sento bathhouse in the U.S., with two marble baths in its basement. Look through the glass over a cut-out in the floor to see belongings left behind by the Japanese residents when they were sent to internment camps. Oh, and the tea’s great, too.